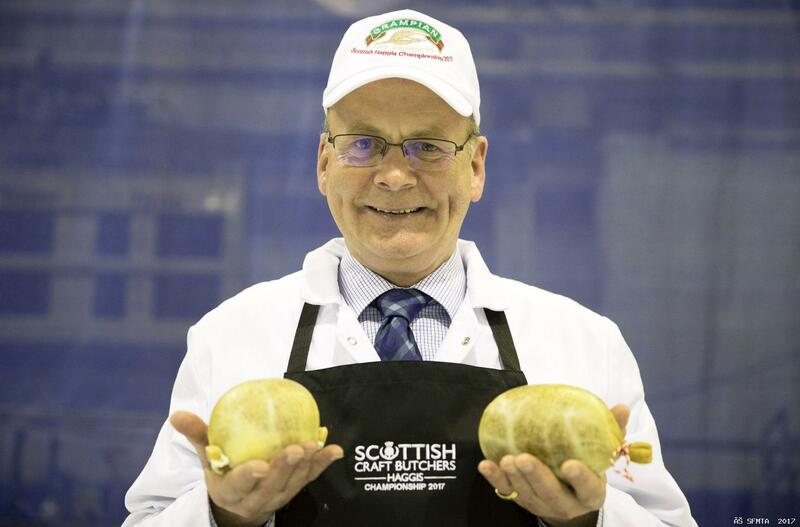 And newly-crowned champion Stuart (55) revealed the country’s best haggis owed its origins to his Grandfather Bert “Kiddie” Houston who set up the family firm J B Houston on the outskirts of Dumfries nearly 70 years ago. “This is the title I’ve wanted all my life,” said an emotional Stuart, “and it’s as much for my Grandfather as it is for me. The third generation Dumfries butcher is renowned for its handmade traditional haggis – producing around 25 tons each year to meet demand. Using a recipe created by his Grandfather, Stuart admits there have been “tiny tweaks” over the years but that today’s product stays true to the original – and remains secret. Stuart haggis was judged the South West Scotland regional champion before his entry faced another tasting panel of experts to establish the overall winner. Head judge Gordon Wallace (pictured above) said the judging process had been robust and intense and said that the new Scottish Haggis Champion was a worthy winner.